He has only 2 or 3 races left in his career so I figure any stories should be placed in the stallions section cause that is where his future lies. Julian Muscat pays a visit to the village of Cheveley and meets the dedicated and enduring team behind Golden Horn's early days. CHRIS SMITH will be an anonymous presence at York this afternoon. He will have travelled up from Cheveley, a small village on the fringe of Newmarket, to reacquaint himself with a horse he knew in its youth. Smith is the gardener at Hascombe and Valiant Studs, where Golden Horn was foaled and raised before his transfer to John Gosden’s stable. By staff consent Smith is the one among ten full-time employees who follows racing more closely than anyone except Hascombe’s secretary, Fiona McGlone. Although that might seem strange for a man not directly involved with rearing horses, it is often the way on stud farms. The staff are first and foremost stockmen. As much is evident from the obvious question: which of them made the most money when Golden Horn won the Derby? It draws blank looks all round. There is obviously collective pride in graduates of Golden Horn’s calibre, but in the years ahead the horse who streaked to victory at Epsom will be remembered at Anthony Oppenheimer’s breeding grounds in other ways. Only when you visit these private breeding fiefdoms can you appreciate the expertise on hand. Golding is in his 29th year at Hascombe, a 290-acre pasture embracing three different land tracts. Winner of the Thoroughbred Breeders’ Association’s Stud Staff Award last year, Golding is responsible for foaling the stud’s mares. On March 27, 2012, a date etched indelibly in his mind, he oversaw the birth of Golden Horn. He was summoned from his sleep by Heidi Steggles, whose internal clock has been turned upside down every winter for the last eight years. From January through to May, Steggles starts her 12-hour shift at 10pm, sitting alone in the foaling unit, waiting for signs that heavily pregnant mares are about to give birth. Steggles, too, was on hand when Golden Horn entered the world, the rich bay colt causing his dam Fleche D’Or no complications whatsoever. He would continue in that vein for the next 20 months. Steggles has worked with horses all her life: she left school at 16 to work at Hugh Van Cutsem’s Northmore Farm. “I suppose one of the highlights of my life was when I was asked to look after Black Caviar when she came over here from Australia,” Steggles says. The detail makes a revealing snapshot of her professional standing. It’s a recurring theme at Hascombe, where staff tend to stay put. The standard was set by Roy Gedge, who retired in 2013 after 47 years’ service, most of it as stud groom. And when Oppenheimer recruited Gedge’s successor he turned to Andrew Biddle, who had worked at Hascombe under Gedge before spending the lion’s share of a decade at Lord Derby’s Stanley House Stud. 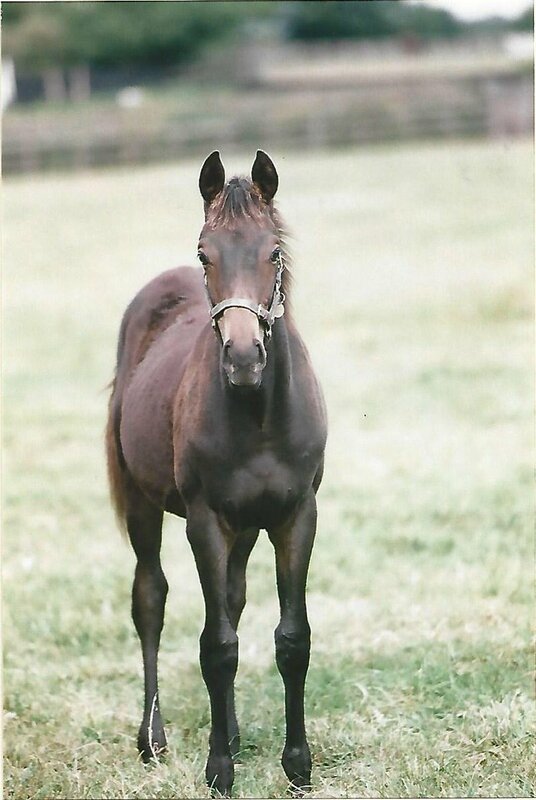 While there, Biddle foaled down a chestnut colt out of Lord Derby’s outstanding racemare, Ouija Board. He would subsequently prepare the son of Galileo for the yearling sales where, in 2012, he fetched 525,000gns at Tattersalls. That turned out to be Australia, winner of last year’s Derby. It’s a little-known fact that on the same day Golden Horn was foaled the stud celebrated another new arrival who would line up against Golden Horn on Derby day. 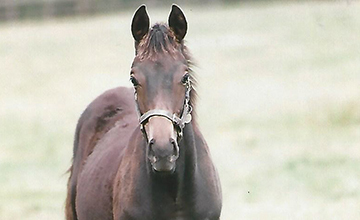 However, the bay colt by High Chaparral was born in Ireland, rather than Hascombe. Sold as a yearling, he was named Moheet and ran in Al Shaqab Racing’s silks at Epsom, where he finished tenth. Although Moheet was sent to Tattersalls in the same Hascombe consignment as Golden Horn in 2013, it was the presence of another yearling in the draft that probably ensured Golden Horn would return home unsold. It has been well documented Golden Horn failed to reach his 200,000gns reserve. But that asking price was raised considerably 24 hours after Hascombe had sold a Dansili colt for 525,000gns. Together with Golden Horn, the Dansili colt was seen as one of two potential stars in the draft. And when the imperative to recoup a handsome financial dividend was satisfied, Oppenheimer was content with the prospect of putting Golden Horn into training in the event his reserve was not attained. There were long faces everywhere at Hascombe that evening except in the proprietor’s house. It would transpire that fate dealt Oppenheimer a helping hand. The 525,000-guinea Dansili yearling, subsequently named Bartholomew Fair, has won but a humble Yarmouth maiden from five starts. Golden Horn remains unbeaten in five. 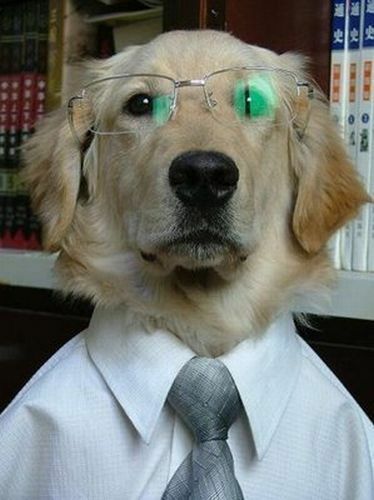 HASCOMBE is run on the principle that staff work hard in exchange for their employer’s paternalistic embrace. “It’s a demanding job, especially during the foaling season,” Golding says. “You can have long days and long nights, which ties you to the place. You don’t really get the chance to get away but having a Derby winner like Golden Horn makes it all worthwhile. “Many of the staff have been here for a long time and I think Mr Anthony likes that continuity. On that note, Golding and Steggles depart for lunch while McGlone, a relative newcomer of eight years’ standing, threads a path through a majestic tree-lined walkway, flanked by mature hedges, with paddocks on either side. The setting is befitting of the thatched stable yard through which you gain entry. The initials “JJ” – which commemorate Sir John Jarvis, who founded the stud in 1936 – are ornately engraved on an archway that houses an elaborately painted clock. McGlone rode out at Sir Henry Cecil’s for four years before settling at Hascombe, where she has found her professional niche. She speaks enthusiastically about everything to do with the farm, from its many attractive features to its committed workforce. “This is a way of life,” she says. 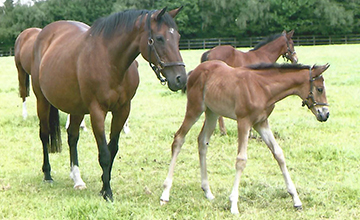 “With studs, what people don’t see is all the work that goes into getting foals as correct as possible. Keeping them light; weight off the leg you want to stay straight; the paddock management, and so much more. “People think we just throw the horses out and bring them in for the sales before making a small fortune,” she continues. “There’s a lot more to it than that. The bills are horrendous, but that said, we’ve had the best year anyone could possibly have. Whatever comes to pass at York this afternoon, nothing can detract from the fact Hascombe and Valiant Studs has achieved the pinnacle of breeding ambition. To win the Derby with a homebred horse is as good as it gets. Does the Juddmonte defeat hurt his value? Could it change his career path & see him race on as a 4yo or chase an international win? Probably not, but at least he showed up. Gleneagles sleeps with the light on. As the One Nation leader might well ask, ploise exploin. Lot 13 Nina Celebre is a Broodmare with a German damline, the Nella da Gubbio Branch (Catnip). Her best offspring so far is Pakistan Star (Shamardal) and the Close relative "Night of England" was recently seconplaced in the Preis der Diana (German Oaks). In the Yearlings catalogue of the BBAG Yearling Sales, 31. August 2018 (German Auctioneers, Baden-Baden, www.bbag-sales.de) only one offspring of "Golden Horn" is listed, see Lot 80 N.N. Golden Horn/Ninfea from the same damline, but a different branch, best descent is Novellist, now Sire in Japan. They are the Golden Horn lots from book one - Tattersalls October Yearling Sale. One interesting lot to some forum users might be #13 a half to Pakistan Star. Personally I like #245 and #455. Been to the Cashman property a few times and am a big fan of the Rathbarry operation ( 245 ). Liber Nauticus is from the family of Conduit ( 455 ). Both have lovely pedigrees.